Mirror Madness #1: Moon Mirrors! Wearing or Hiding Astrological Talismans? Time is Running Out on Picatrix Pre-Orders! This is for the Sun in Leo. Sun elections are nice because they are easy to find, Sun hour on Sunday always being Sunrise and the Sun being in both sign and triplicity in Leo and sign and triplicity in Aries on Sunday at Sunrise. The Sun, not surprisingly, cranks out good elections like clockwork (?) indeed! being the original timekeeper along with the Moon. Sun is good for promotion, fame, reputation, leadership, wealth, and good for general health as the ruler of the heart and center of the body. Sun talisman is particularly appropriate for you with Sun in Leo, Aries, or Sagittarius. Yellow flag (caution) on Sun talismans if he is in Aquarius or Libra. He can't be combust or retrograde! Bad aspects, bad house placement or rulership doesn't seem to affect talisman choices much. And folks, Dawn is Sunrise and Sunrise is when the Sun comes up in the morning! A staggering number of people have no idea what Dawn is and ask me things like "should I adjust to Eastern time?" or just seem very confused by the concept. Even Sunrise confuses many. Oh, man, if we needed any confirmation that moderns were totally out of whack with Nature, not knowing what Dawn is or being confused about when Sunrise is, really shows it. I got so caught up with Picatrix and other business that I wasn't able to give a heads up about a great Moon election yesterday, but I used it to make Moon mirrors and Wade cast Moon talismans! This was an excellent Moon election with the Moon culminating, Moon day and hour, Moon dignified by sign and face and waxing! Wow! The Moon moves so quickly that getting good Moon elections can be very difficult. Ok, but so what? you may ask, why bother with the Moon? I know what you mean, the Moon is mysterious and her incredible power is hidden. This is entirely appropriate, as the Sun, light of the day is blindingly obvious, while the Moon, light of the night, is inscrutable. 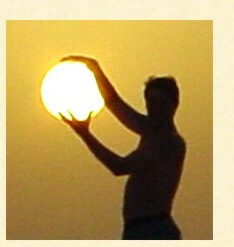 The Sun is the cause of all life, controls the weather, regulates the day and the year. But the Moon is equally important. The month is hers, and through her regular and orderly waxing and waning, she controls everything in the Material World, known very appropriately to the ancients, as the sublunar Realm. "You should know also that magic is gained by actions and works in one way, and more subtly in another. That which is gained by actions and works is gained from the magistery that is worked by the sage in the world beneath the sphere of the Moon..."
Picatrix Bk I, ch 2, Greer & Warnock trans at page 29. If we are to perfect our art, we must be masters of Lunar magic! And what better way to work with the Moon, the luminary of the night, then through a talisman that is itself lightbearing, our Moon mirrors? 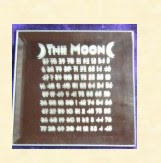 We will, of course have silver Moon talismans available cast on this date as well. "...renders the bearer thereof grateful, aimiable, pleasant, cheerfull, honored, removing all malice, and ill will. It causeth security in a journey, increase of riches, and health of body, drives away enemies and other evil things from what place thou pleaseth;." Three Books of Occult Philosophy Bk II, ch 22. In addition, mirrors add a visionary and dream like quality to talismans, opening up the realms of the spirits, allowing you access into their spheres. The hypnotic quality of incense flowing over mirrors can be quite intense! I made these Moon mirrors personally, acid etching using the Moon table and my own special design. I consecrated them to the Moon and they are ready for ritual use. "What do you do with mirrors?" Of course you can scry with them, but I have them on my altar space and they really look fabulous as well as being ideal foci for my ritual and beaming off all that fabulous astrological energy. One of the real problems we face in attempting to work with magic is our utter lack of personal experience and societal support and understanding with regard to the spiritual realm. I get this constant drumbeat of unreasonable hope and unreasonable fear with regard to astrology and talismans. People are hoping that their whole life is going to be turned around instantly with one talisman or even one election. Or they are freaking out that they got the candle color wrong in their consecration ritual or that their new talisman HAS COMPLETELY RUINED THEIR LIFE!!!! A real problem in this regard is accurately following casual links. This goes both ways, people unreasonably finding magic successful or being convinced that it was unsuccessful. With no personal experience with magic or social training in what it can or cannot do people get very superstitious. If someone said that "once I was almost run over by a redhead, so now I refuse to be in the same room with a redhead" you'd likely think they were not assessing the situation properly. Throw in magic and suddenly they are freaking out! What's lacking is trust. I don't like the word "faith" because in the modern context that tends to mean believing in something despite the fact it has no "rational" read atheistic/materialist basis, in fact believing in something rather foolish like Santa Claus or God. Trust, I like better as a basis. Trust can be reasonable, based on personal experience, on logic and philosophy and on the reasonable reports of others. Moderns don't trust magic because they have been taught by science and the prevailing atheistic/materialism that it doesn't exist. And despite 300 years of atheistic/materialism there is still strong, though deeply buried social programming, stemming from the jealousy of the established religions to magic or any form of spirituality not under their control. Personally, I have worked with astrological magic for over 10 years now. I have seen how that my life has improved both materially and spiritually over that period. Astrological magic is rooted in Hermetic and Neoplatonic philosophy which is rational, once you accept the existence of the spiritual, and can be part of a positive, right hand spiritual path. (Left hand path is also possible with it, just not really my thing!) I have a rational basis for trusting that astrological magic works and that it works positively if done properly. Minor mistakes don't, in my experience, blow up like a grenade in your face. If I am going to say that I think astrological or other magic has worked in a particular circumstance, I am going to need reasonable casual links. For example, every month I do a consecration of my 3rd Mansion talisman, when the Moon is in the 3rd Mansion. The 3rd Mansion is for all good things. Invariably within 24 hours, either before or after, my business booms. It is not unusual for the 3rd Mansion day to be the biggest day of business for the whole month. And this has not just happened once, it is as regular as clockwork. In this case we have a reasonable casual link because we get an appropriate effect within a close time range and can say that it appears that the 3rd Mansion magic is working. Our clues to casual links are connections in terms of time and in terms of effect. If I do the 3rd Mansion consecration and 15 days later I get a boost in business, the link is less clear. This is not saying that there is no link, but the connection is not as evident. If 3 months later I fall down the stairs or get fired from my job, there is very little linking this occurrence with the 3rd Mansion talisman, neither timing nor effect. This confusion over casuality is an area where atheistic/materialists have a point. "Magical" thinking, ala "step on a crack, break your mother's back" is likely to confuse us and lead us astray. Now personally I am somewhat superstitious, I don't walk under ladders or use the number 13, if I can help it, for example, but I don't try to rationalize this. I regard it as simply my own foibles that I feel more comfortable not crossing. Absolutely nothing wrong with indulging personal preferences. Spiritual causality is pretty tricky since we are dealing with subtle forces. It is easy to see connections out of hope or fear, since we really don't trust magic. It's easy when things we don't like happen to point to magic since magic is weird and dangerous. Still, by all means, if magic freaks you out or you feel that magic is responsible, don't do magic! You won't see me opening up and messing with my circuit box, I leave it to an electrician. I had a recent question asking whether you could openly wear astrological talismans or should hide them. If there is any mention of this issue at all in Picatrix it does tend toward hiding talismans. Picatrix Bk I, ch 5, Greer & Warnock trans, page 42, "An Image to Increase Wealth and Trade" says to guard the talisman and keep it secret so no one sees it. De Imaginibus has you burying talismans, eg Chapter VII, though this doesn't necessarily mean the talisman has to be hidden. I do personally wear talismans openly, even the Great Wealth and Fountain of Wealth talismans based on the Bk I, ch 5 recipe that says to keep them hidden. Perhaps part of this is vanity, since I think Renaissance Astrology talismans are beautiful pieces of jewelry. I have certainly not noticed any ill effects. I don't let all and sundry handle my talismans, but actually I have been rather surprised by the almost total lack of curiosity and interest that my talismans evoke. I mean, here I am, wearing 2 planetary rings and 4 talismans and nobody asks me about them! I had one guy recently ask me about my Regulus talisman, but that was first time anyone asked in 2010! If I mention the talismans I generally get a very brief purely polite response with zero followup. Maybe people are so weirded out that they can't wait to change the subject; I really have no idea. My sense of astrological talismans is moving further and further away from the charged battery model to the ensouled entity, dwelling place of the spirits model. I get the sense the astrological spirits like their beautiful talismans. I know I feel like I should keep them polished. My compass in all my dealings with the astrological spirits, be it ritual, meditation or talismans, is "am I being respectful?" Personally, I don't feel that openly wearing astrological talismans is disrespectful, but this is my personal opinion. 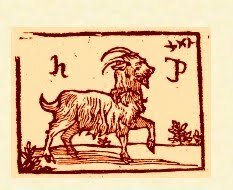 Valuable, in that I am basically top of the heap in terms of contemporary astrological magicians, but in particular cases, like the Picatrix Bk I chapter 5 wealth talismans, not in line with this important traditional source. It's important to be clear about this. We don't want everything frozen in 1647 or 1000, but then we don't want to change merely because the modern worldview insists that everything new is better than everything old and everything my ego thought up in 15 minutes is better than what took Plato a lifetime to conceive. I feel like I am still operating within the tradition, but I want to be perfectly clear that this is my personal idiosyncrasy. This has particular relevance because there are astrologers out there insisting that they are "traditional" but being very, very vague about what traditional sources say and what they do personally. Nothing wrong with doing your own thing, within the tradition, but let's be crystal clear about what is in traditional sources and what is our own personal thing. Wow! 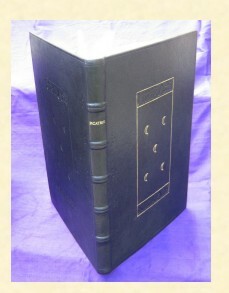 Take a look at the fabulous archival box that comes with the leatherbound Picatrix. Just scroll down to the bottom above the order buttons. I was thinking cardboard and my binder gives me this incredible custom cloth bound box with a leather label hot stamped with "Picatrix" and inlaid with gold leaf. I was joking that I need a box for the box! Then take a look at the final version of the cloth bound Picatrix. These also have this beautiful leather label hotstamped in gold with "Picatrix"
In a way, though, that begs the question, since you may well be asking, "What do I need a copy of Picatrix for?" Let's consider this from the purely practical level. I had a poster who just asked about a Jupiter talisman can look in Picatrix Bk II, chapter 10, Greer & Warnock tr, page 106 and get very specific instructions on the necessary conditions for making a Jupiter talisman. Picatrix contains 268 different talismans recipes! What shape should the talisman be? Look at Picatrix, Bk III, ch 5 Greer & Warnock tr, pages 147-8. What material should the talisman be made out of? Look at Picatrix, Bk III, ch15 Greer & Warnock tr, pages 132-6. How do I consecrate the talisman? Look at Picatrix, Bk III, ch 7 Greer & Warnock tr, pages 159-80. It's all there in detail, the secrets of talisman making all laid out for you! But Picatrix goes beyond just the practical details and explains why talismans work, how the spirits are attracted by the mage and ensouled in a talisman, truly what the magical nature of the Cosmos is. The author says he consulted over 200 books of magic, astrology and occult philosophy and extracted all of their wisdom in Picatrix. But for me there are even more reasons to own Picatrix. This is not a movie prop, not a work of fiction, but a 1000 year true book of MAGIC! Picatrix could never be published in the Middle Ages and Renaissance. It circulated in manuscript only and mages would work feverishly to write its pages by hand so they could possess their own copy. Mere possession of Picatrix would have you brought before the Inquisition out of fear of the forbidden knowledge it contained. This folks, is not some dry academic treatment, it is truly magical. In the introduction, John rightly compares Picatrix to the Necronomicon, but Picatrix is real, not fictional. We had a hard choice in translating many sections of Picatrix, personally we could never use some of the talismans or create many of the "confections" but like reality itself Picatrix contains the potential for both great good and great evil. When we consecrate the leatherbound and cloth bound editions we are merely completing the process of spiritualization. Picatrix is an uncanny book, a book of knowledge and a book of power. It has been my constant companion for the past 12 years. I learned Latin to translate Picatrix. We spent 2 years on the translation itself. Picatrix speaks to me as it speaks to the few, chosen to plumb its depths. If the path of the mage is yours, then Picatrix is an essential guide on that path.